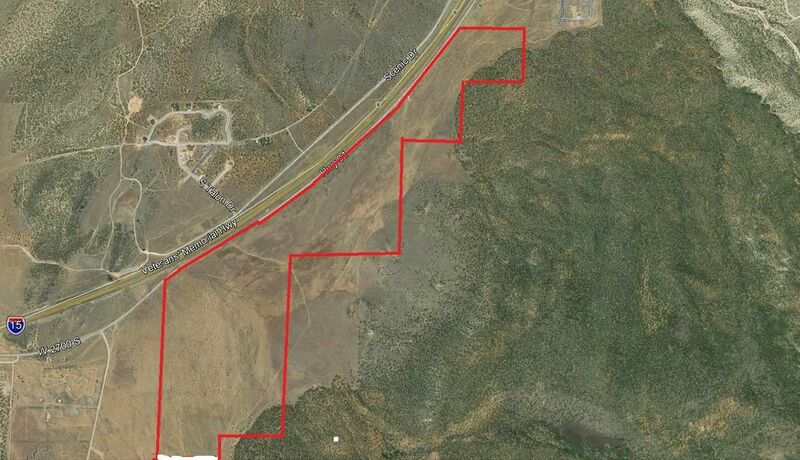 Prime development property that fronts I-15 near the south interchange. Master-planned for big-box and commercial retail sites as well as residential high-density to R-1. Adjacent to BLM land, walking trails, and Providence Center. Optimum visibility. Currently in greenbelt. Sewer nearby.Commercial Acreage starting from the north-end along Hwy 91 is available in smaller parcels at $100,000/Ac with Possible seller financing.